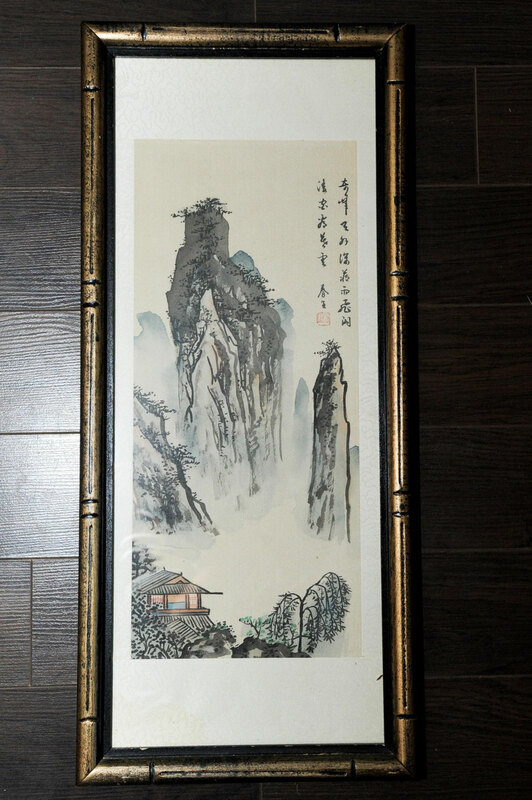 My father has a few pieces of art from China that is over 100 years old. It was brought to Canada by a diplomat living in China over 100 years ago, and my father acquired them from the diplomats son after he passed away at an estate sale. I was wondering what the process would be to get something like this identified. I’ve attached a few images so you have an idea what I am talking about. I’ve tried for months to find someone willing to appraise it or identify it– but so far with no luck. I've attached some images and zoomed in some of the stamps/identifying marks. Hoping the community can help me out or point me in the right direction. First of all - please forgive my ignorance - but is the signature/seal the artist name or the collector name? I read online that the stamps were sometimes the marks of people who collected these pieces? Is there any way to determine about how old these are? I assume they aren't worth much - but would there be any point getting them appraised? the painter should have been active at the end of the Qing dynasty and early Republic era. The courtesy names of famous painters can be found on the net or in ID dictionaries. In the largest Chinese ID dictionary I have found three painters with this courtesy name, but no hit on the net. Therefore, in the absence of reference pictures and seal imprint samples we are really in the dark.